Shoppers visiting one of China's top e-commerce sites this holiday season can now bid for a skyscraper. 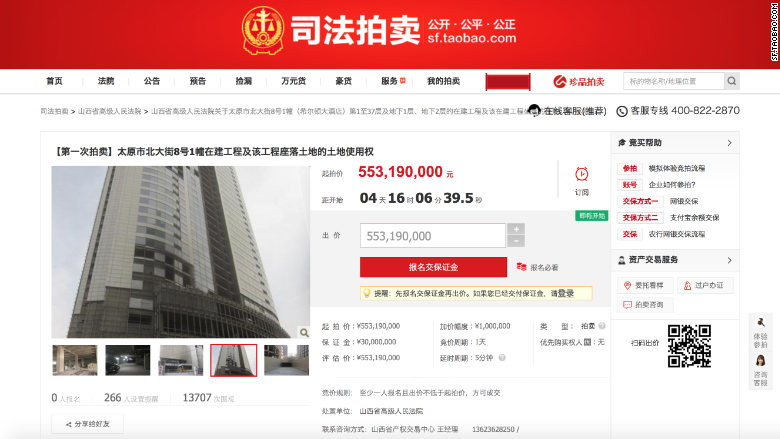 The 37-story, 500-foot building has been listed on popular auction website Taobao, owned by Chinese tech giant Alibaba (BABA). Buyers have to move fast, though. 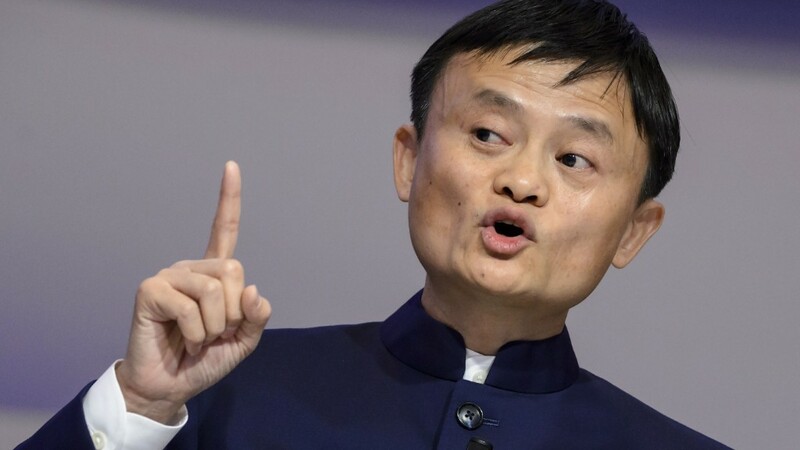 It's going under the hammer on January 2, with an asking price of 553 million yuan ($85 million), according to the listing. The building also comes with one big caveat: It hasn't been fully built, and the buyer has to finish it themselves. The structure in question has a troubled history. It was started in 2006, but construction stalled when the original developer ran out of cash. It was intended to be the first five-star hotel in Taiyuan, a city in Shanxi province, the Taobao listing said. Photos posted on the listing appear to show the building still surrounded by scaffolding and construction materials. It is listed on a special section of Taobao where bankrupt companies can auction off assets. Buildings have been sold through online auctions in China before, but this appears to be the first skyscraper advertised. It's not the first eyebrow-raising sale Taobao has brokered. A few months ago, two secondhand Boeing (BA) 747 aircraft were sold via the platform for a combined total of more than 320 million yuan ($48.3 million). A third went unsold. If a buyer is willing to meet the skyscraper's asking price, it still wouldn't come close to the priciest ever sale on eBay (EBAY). A 405-foot pleasure boat known as the "Gigayacht" was sold for $168 million on the U.S. auction site in 2006.